You are here: Home › News & Publications › Home Page › Locals › Local 0082 › NSGEU News › Winner of NSGEU Dream Vacation Contest! 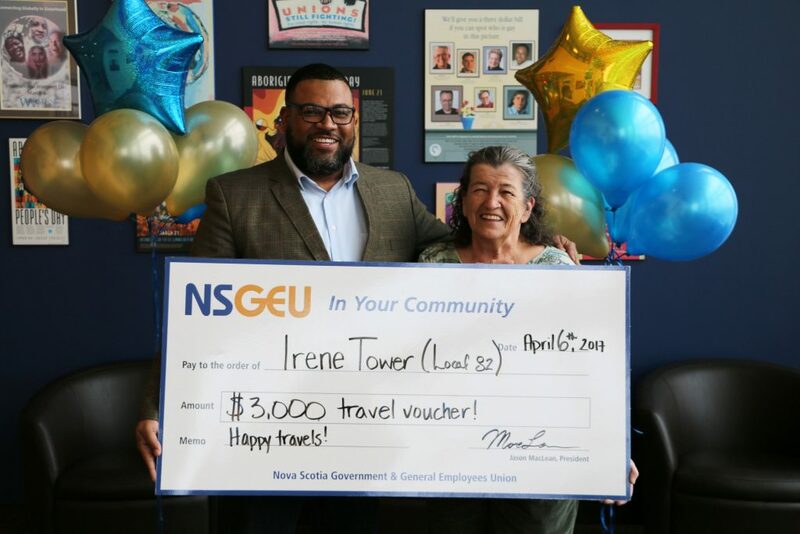 The lucky winner of the NSGEU’s Dream Vacation contest was Irene Tower, an Accounting Clerk and member of Local 82 (NSCAD)! Irene has worked at NSCAD for 11 years and will be retiring later this month. What a fantastic way to start out her retirement! She is thinking about using the certificate to visit family in Scotland in the future. Congratulations, Irene! And thank you to the MANY members who took the time to enter our contest!